A GREAT-grandmother has killed a 3.65m alligator, shooting it the head after she claimed the reptile ate her miniature horse. 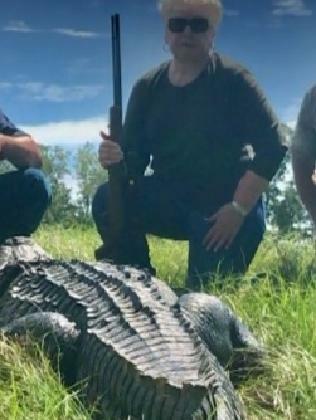 Judy Cochran, mayor of Livingston, Texas, told a local news station that she believes the 263kg gator she found on her family ranch is responsible for killing her horse which went missing three years ago. "One shot in the head and he just went under," she told ABC Houston station KTRK. "Typically what they'll do is a death roll, and roll over and over, but this one didn't." She brought out an alligator trapper who caught the reptile using raccoon roadkill as bait. 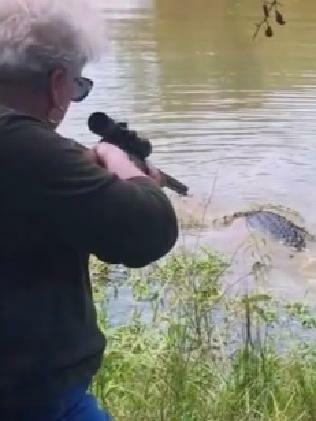 Then, while the gator was roped and on the line, Mrs Cochran fired a single shot into its head, killing it. "This head is going in my office," she said. She told local news stations that her horse - which she described as being the size of a labrador - went missing in the same pasture where the alligator had been. "To say for sure it's the same gator, I can't say for sure, but I highly suspect," she said. Polk County is one of a few core counties where you can only kill an alligator 20 days of the year (September 10-30) - and Mrs Cochran said she had a permit and tag. She told NBC News that she met all the requirements for hunting the alligator. 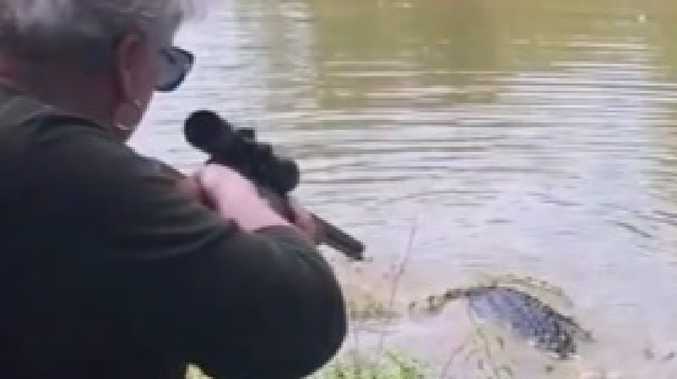 But an animal rights group compared the shooting of the gator to shooting fish in a barrel. "We may not understand alligators the way we do animals we're more familiar with, but we know that they're expert navigators, clever hunters and fiercely protective parents who, most importantly, feel the same fear and pain that we do. Shame on the mayor for her cruel, cowardly act," People for the Ethical Treatment of Animals (PETA) said in a statement to NBC News. But Mrs Cochran ignored the comments, saying that because of the gator's size, it had become aggressive and would have been a nuisance to another person had it been relocated. "It's a part of wildlife management … it's not just willy-nilly we decide to go down and kill a gator for heck of it," she said. Mrs Cochran said she comes from a family of hunters and that they will use all the parts of the animal.